The organizational meeting of our church was held on December 11, 1928 at the Christian Church in Ina located at the corner of Brown Street and N Elm. The following persons made up the membership: Mr. and Mrs. Hershel Hale, Mr. and Mrs. Theodore Pickett, Mr. and Mrs. Dan Ligon, Mr. and Mrs. Wesley Odle, Sarah Kirk, Mrs. Ovid Cole, Marie Ligon, Mary Hester, Mr. and Mrs. W. A. Hodge, Mrs. Perry Williams, Mr. and Mrs. W. N. Hayse, Mr. and Mrs. A. E. Odle, Mr. and Mrs. John Rhynes, J. A. Vanwinkle, Hugh Peavler, Hugh Watkins, Naomi Hodge, Gladys Drennan, Mary Campbell and Viola Cole. After meeting at the Christian Church for several months and when negotiations to purchase that building failed, they moved their meeting place to a store building on the south side of main street (3rd Street), near today’s existing bank building. From the store building, they moved to a corner room at the Ina school. 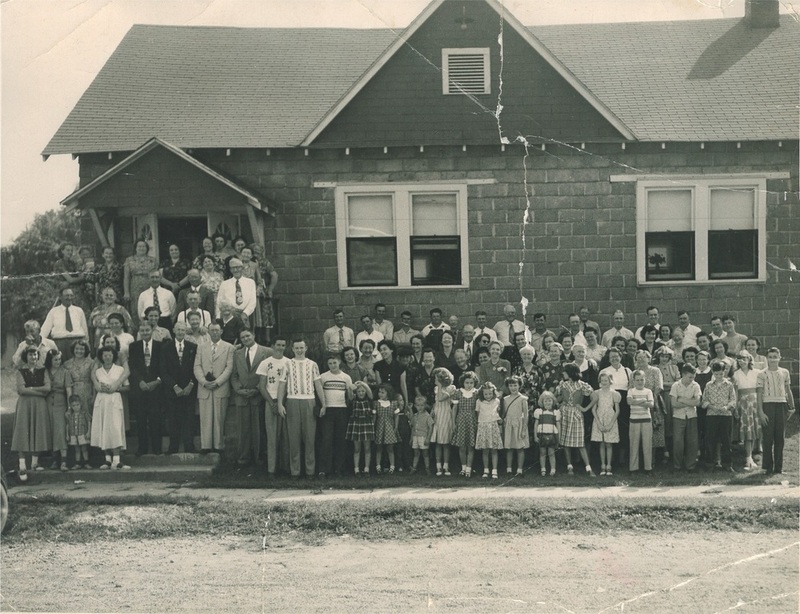 Then in 1941, they moved to a new building constructed by men of the church just west of our present facility. In 1965, the present auditorium and classrooms (northeast side) were dedicated. 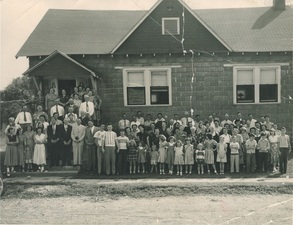 Additional classrooms and the 2,600 square foot fellowship hall were added in 1986/1987. Through the years various modernization and maintenance projects have been completed. In 2004 the church purchased the Ina Village Hall facility (which had been built in 1985) and converted it into a youth center and classroom area. In 2008 the auditorium was remodeled and updated and major kitchen renovations were completed in 2009. Today, plans are being made and a building fund is growing to add additional worship space and teaching and training areas. 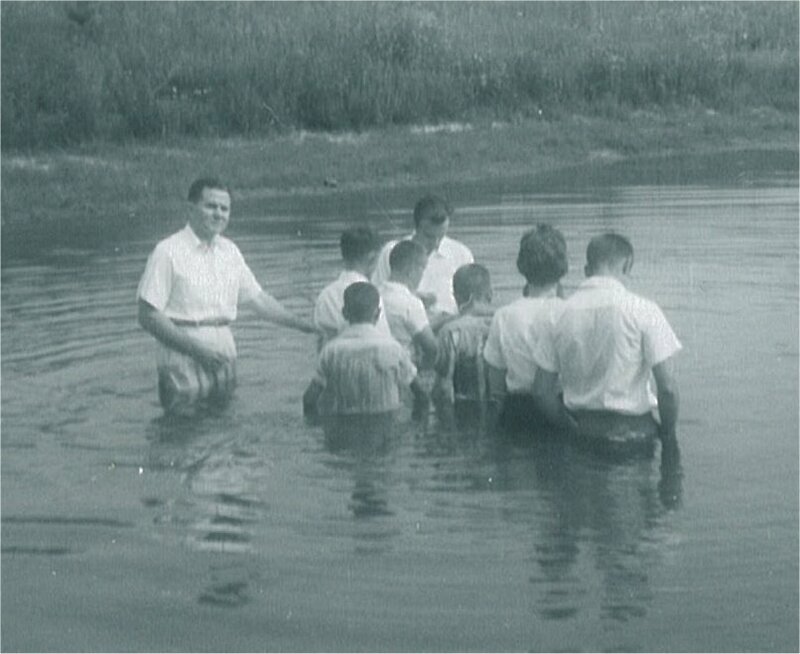 Twelve pastors have served during the many years of ministry in Ina: W. R. Burton, M. L. Baker, W. R. Spurlock, Wallace Malone, Carl V. Williams, Clyde Gulley, Everett Beaty, Tom Malone, Leslie C. Elliott, Larry D. Clyatt, David Shores, and presently, Brad Ryan. Four men have served as assistant pastors/youth leaders: Kenneth Pell, Keith Fletcher, Lyman Parsell, and presently Jason Janus. In addition, many ministers, missionaries, church officers, Sunday school teachers, musicians and lay leaders have been called from this group of believers and now serve in various fields of ministry, both abroad and at home. In recent years, the church has been a leader in denominational giving and support of missions. Many of our people have served on short term mission trips and endeavors.